Pallet racks come in a diversity of sizes and proportions. With a variety of attributes and functionalities incorporated into a pallet rack, you can select the racking that exactly matches with your application. Pallet racks are used in commercial situations that require heavy-duty shelving. If racks are selected wisely, it can help in maximizing the storage space of a warehouse. Once you have decided on the main function of the rack (whether you want to opt for better functionality or dense storage), you can choose the rack accordingly. If a business has a defined amount of space and wants to maximize its use, installing pallet racks may be your best option. Pallet racks are designed for holding objects and materials and is used to maximize the use of space and manage small spaces in a better way. Pallet racking systems are widely used in offices and businesses with a warehouse that has a limited amount of work space that can be used if designed correctly insures a limited amount of space is used efficiently. 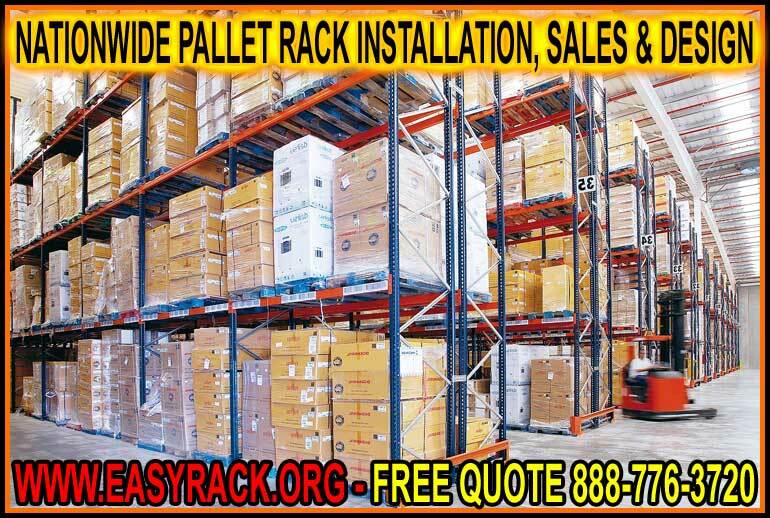 Easy Rack offers many different types of pallet racks including the most common type is teardrop pallet racks. What Are Teardrop Pallet Racks? Teardrop style pallet racks can be used with selective storage, narrow aisle storage, and bulk storage. The most favored in the teardrop design is the selective storage rack. The cause for its high demand is that every pallet is reachable while on the rack. This eliminates the need for unneeded pallets to have to be removed just to access the pallet that is required. This solution saves time and money and is suitable for facilities that handle time-sensitive products.